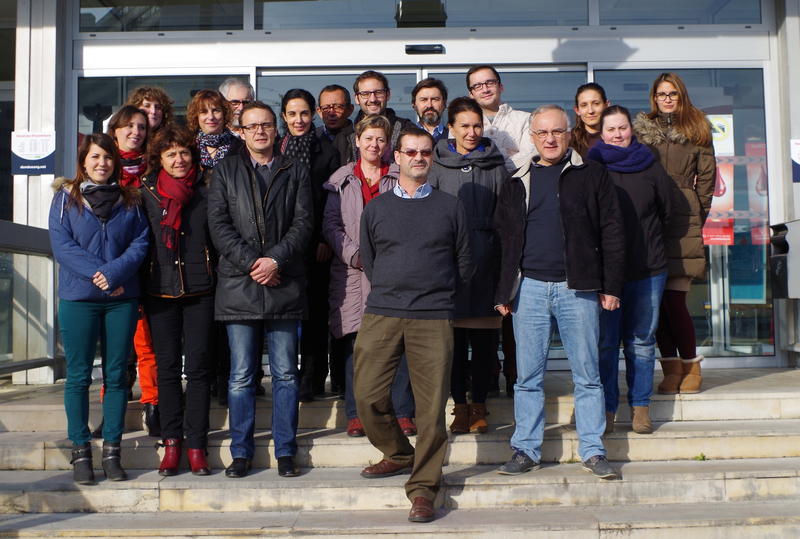 The INSERM team “Normal and Leukemic Hematopoietic Stem Cells : self-renewal, signaling and therapeutic targets” was born of the desire to establish an ambitious research involving several researchers and physicians interested in developing a fundamental and translational research. This team brings together the group of Dr. Zoran Ivanovic of Blood Establishment – Aquitaine Limousin, the group of Dr. Jean-Max Pasquet of the unit 1035 INSERM and Prof Noel Milpied, Head of the Department of Clinical Hematology and cell therapy. The development of targeted therapies has greatly improved treatment and patient outcomes as well as discovering new pathways to improve not only the care of patients but also our knowledge of leukemogenesis. Now, the greatest challenges are to characterize normal stem cell for transplant, to improve their conservation and expansion but also to study leukemic stem cells and their microenvironment to identify the mechanisms present in the hematopoietic niche that control their resistance to current treatments. This research, conducted in close collaboration with the clinical hematology service will translate our expertise to the therapeutic management of acute leukaemias.